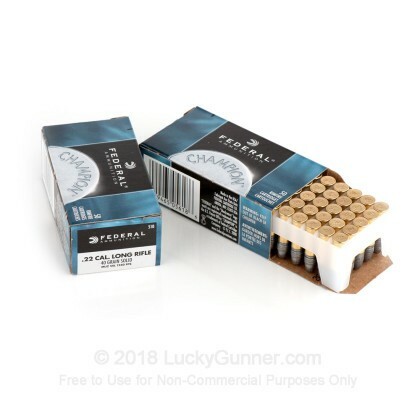 This 500 round pack is a great way to stock up on some American-made plinking and varmint ammunition. 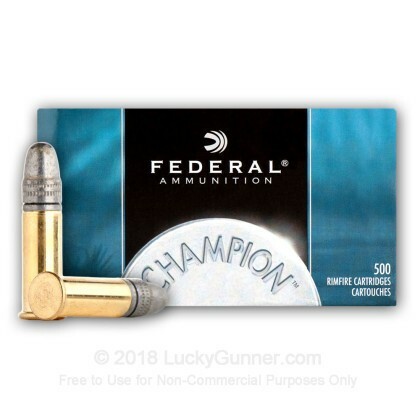 Federal Champion .22 long rifle ammunition is loaded with a 40-grain lead round nose projectile loaded into rimfire primed noncorrosive brass cases. Capable of a muzzle velocity of 1240 FPS, these high velocity rounds deliver more than enough power to stop even the toughest varmints on your hunt or plastic bottles at the plinking range, with the lead round nose offering decent expansion and terminal results. 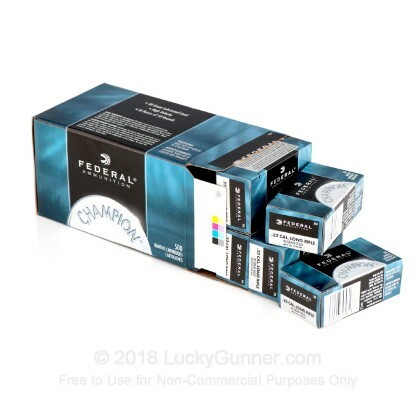 Each box of Federal champion .22 LR contains 50 rounds with 10 boxes per 500 round case. Based in Minnesota for nearly 100 years, Federal continues to produce some of the most consistent and high performing ammunition in the world, while continuing to push the boundaries of ammunition technology. 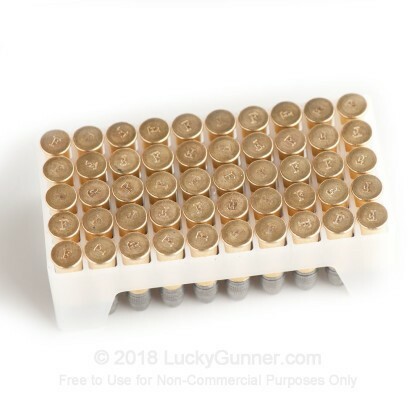 I've seen this ammo locally for a 550 round box. It cycled my M&P 22c without any issues whatsoever. I do not plan to buy again. If it fires, it's great. I've pretty meticulously tracked the failure rate so far and I'm currently at 5% duds and 1 (almost) squib load. The bullet did exit the barrel but I had to break down my gun at the range to verify. I spent more time clearing jams because cases would not eject properly. Not my most productive time at the range. 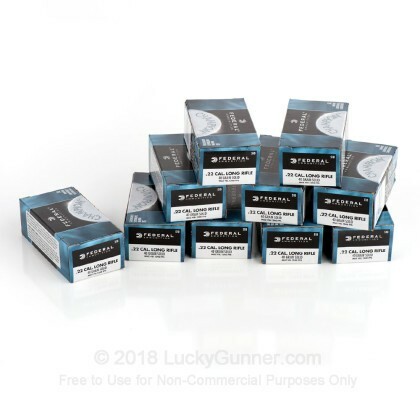 I have not shot this ammo yet because I am finishing up what I had on hand but I have never got bad ammo from Federal so I know it should be fine. The price was excellent and so is Lucky Gunner's Service. I purhased a brick of these a couple of weeks ago. Have fired a couple of boxes so far with no feeding problems through my S&W 22a with a 7in barrel and open sights. Groups ran around 1" or less at 15 yards from a rest. 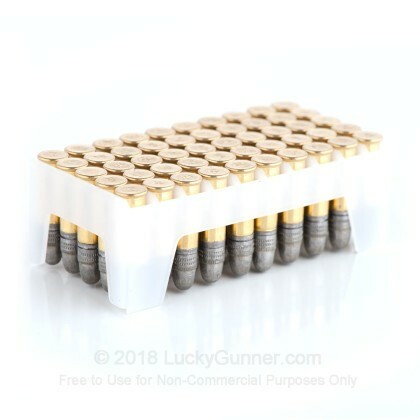 Good value for the money and Lucky Gunner ships their products very quickly. I spent more time clearing my guns of jams than actually shooting. Waste of $. Wish I had spent the money on 2 boxes of blazers. Will never try this ammo again. 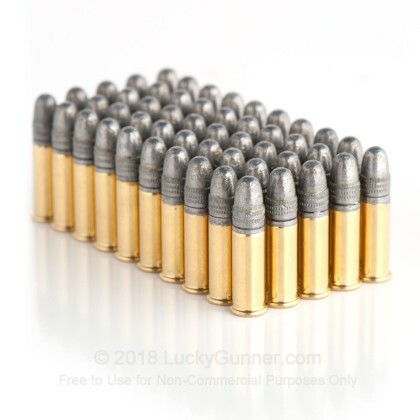 Iv'e been stocking up on this ammo like it's going out of style. 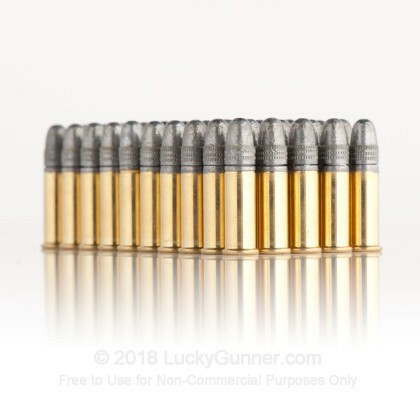 By far the best ammo ever. And it is cheap. I bought 5000 rounds and put them through my Rossi, worked flawlessly. But then I tired it in my pistol and it had trouble loading the rounds. But if you own a revolver / bolt-action / single shot buy all the rounds you can!!!! I ran 200 rounds through my Ruger Mark III and it worked great. Used this ammo in a Savage Mk II, a Walther P22, and an ATI SCAR clone. Worked like a champ in all three. 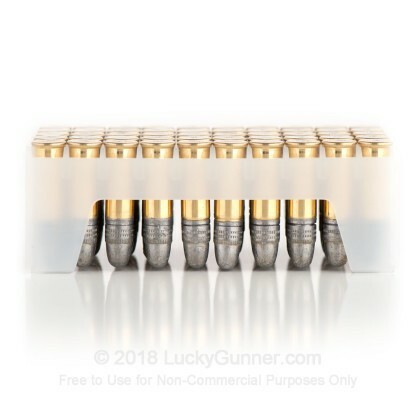 Very accurate ammo, and a great price! Coming back to buy more! Very happy with speed of delivery but the ammo is not what I'd buy if I could have inspected it beforehand. All the lead was loose which always means loading problems with my semi-auto's. Won't do that again. lets just say i shot the legs off a char col grill from 50 yards, I have a 3x9x40 scope and a tripod so that helped but it was very accurate, Im gonna buy more!!!!! Sighted in my 597 for the first time in years no problems at all with the ammo. This is my 2nd purchase of a case. Very few problems cycling through on my '59 Colt Huntsman auto which can be very particular. This ammo did not work well in my Buck Mark semi-auto. As many as 3 out of 10 rounds would not eject or load without jamming. It is a new gun so I thought it might be the gun so I tried some CCI round. They all worked without any problems. Decided to try Federal 40grain for something different. Would not work in my Mark 2 Ruger. I had no problem with 36 grain, but the 40 grain was unable to push the bolt back. This ammo worked the best in my Chippa 1911-22. Clean out of the box and clean firing. It was packed by case with individual boxes of 50. Not 500 rounds just dumped into a box like most bulk ammo. Luckygunner had the best price and was shipped out the same day and I had it within 2 days of my order. They use FedEx Ground which is another added bonus Companies with great service use FedEx! I got 3000 of them a month ago. Half of them are gone. My CZ-75 kadet likes them. Not a single FTF or FTE. Provides consistent, predictible recoil in my ruger pistol and rifle. Very clean casings, perfectly polished. Non hollow point...helps feed in dirty semi auto guns. Fired 2600 rounds during 5 hour practice session without cleaning pistol, 0 misfires or feed problems. Ammo feeds well in pistol and rifle semi autos. shoots straight and will be buying more...much more. I remember when these could be bought for around $10. With that being said, LG had them for cheaper than anyone else. Fast shipping. I bought these to try in my conversion kits.The AR handled them fine,I should have bought more because everyone is out of stock. 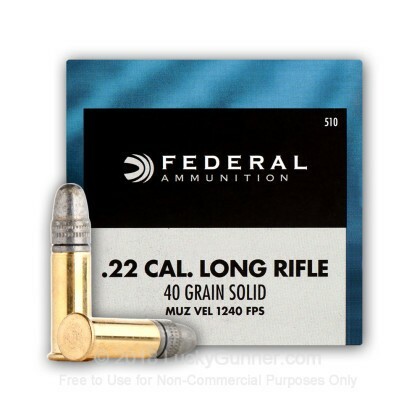 We also have this 22 LR - 40 Grain Solid - Federal Champion - 50 Rounds ammo in stock in a smaller quantity. We also have this 22 LR - 40 gr Solid - Federal Champion - 5,000 Rounds ammo in stock in a bigger quantity.